***2011 INFINITI G37 JOURNEY***FLORIDA VEHICLE***NO ACCIDENTS REPORTED TO CARFAX***REGULARLY SERVICED AT INFINITI DEALERSHIP***GRAPHITE SHADOW EXTERIOR***STONE LEATHER INTERIOR***MOONROOF***REAR VIEW CAMERA***PARKING SENSORS***BLUETOOTH***VOICE RECOGNITION***BOSE PREMIUM AUDIO***HEATED FRONT SEATS***FULL POWER OPTIONS***MEMORY DRIVERS SEAT***17 ALUMINUM-ALLOY WHEELS***DUAL-ZONE AUTOMATIC CLIMATE CONTROL***MULTI-FUNCTION STEERING WHEEL***CRUISE CONTROL***TRACTION CONTROL***VEHICLE DYNAMIC CONTROL***COMPASS***UNIVERSAL GARAGE DOOR OPENER***IN-DASH COLOR DISPLAY***FOG LIGHTS***DUAL EXHAUST***PUSH BUTTON IGNITION***REMOTE ENTRY***AND SO MUCH MORE***PRICED AGGRESSIVELY FOR A QUICK SALE***Located in the heart of Fort Lauderdale, Lauderdale INFINITI is every car buyer's first choice when it comes to high quality luxury vehicles. Lauderdale INFINITI is a proud member of the Holman Family of dealerships. Since 1924, we have made every effort to provide an exceptional experience to every one of our customers and we continue that tradition with the INFINITI Total Ownership Experience. FLORIDA VEHICLE**, LEATHER**, SUNROOF / SUNROOF**, LUXURY PACKAGE**;LOW MILES**, 2D Coupe, 3.7L V6 DOHC 24V, Moonlight White, Tan, 19 x 8.5J Front & 19 x 9J Titanium Finish Wheels, Auto-Dimming Rear-View Mirror w/Compass, Bluetooth® Hands-Free Phone System, Driver's Audio Stage, Heated Front Door Mirrors, Heated Front Seats, HomeLink Universal Transceiver, INFINITI Studio On Wheels by Bose, iPod Connectivity, Magnesium Paddle Shifters, Memory System, Moonroof, Power Driver's Lumbar Support, Power Tilt & Telescopic Steering Wheel, Power Windows, Premium Package, Sport Package, Sport-Styled Seats, Sport-Tuned Suspension, Viscous Limited-Slip Differential, Voice Recognition.Recent Arrival!18/26 City/Highway MPGLocated in the heart of Fort Lauderdale, Lauderdale INFINITI is every car buyer's first choice when it comes to high quality luxury vehicles. Lauderdale INFINITI is a proud member of the Holman Family of dealerships. Since 1924, we have made every effort to provide an exceptional experience to every one of our customers and we continue that tradition with the INFINITI Total Ownership Experience. ***2015 INFINITI Q50 3.7***LOCAL LEASE RETURN***1 OWNER***CLEAN CARFAX***ORIGINAL MSRP $40,530!!! ***REGULARLY SERVICED***MOONLIGHT WHITE EXTERIOR***GRAPHITE LEATHER INTERIOR***MOONROOF***REAR VIEW CAMERA***BLUETOOTH***17 ALUMINUM-ALLOY WHEELS***INFINITI INTOUCH DUAL DISPLAY SYSTEM***VOICE RECOGNITION***PUSH BUTTON IGNITION***VEHICLE DYNAMIC CONTROL***BRAKE ASSIST***DUAL-ZONE AUTOMATIC CLIMATE CONTROL***POWER FRONT SEATS***ACTIVE TRACE CONTROL***ILLUMINATED KICK PLATES***KACCHU ALUMINUM INTERIOR TRIM***AND SO MUCH MORE***PRICED AGGRESSIVELY FOR A QUICK SALE***INFINITI Certified Pre-Owned means you not only get the reassurance of up to a 6yr/unlimited mileage warranty, but also a 167-point inspection/reconditioning, complimentary first year basic maintenance, 24/7 roadside assistance, trip-interruption services, free 3-month trial subscription to Sirius XM Satellite Radio, complimentary service courtesy vehicle, complimentary oil/filter change, and a complete CARFAX vehicle history report. 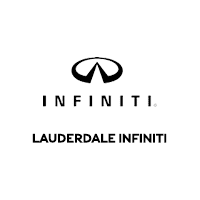 Located in the heart of Fort Lauderdale, Lauderdale INFINITI is every car buyer's first choice when it comes to high quality luxury vehicles.Lauderdale INFINITI is a proud member of the Holman Family of dealerships. Since 1924, we have made every effort to provide an exceptional experience to every one of our customers and we continue that tradition with the INFINITI Total Ownership Experience. ***2015 BMW 328i xDRIVE GRAN TURISMO***CLEAN CARFAX***ORIGINAL MSRP $46,500!!! ***REGULARLY SERVICED AT BMW DEALERSHIP***BLACK SAPPHIRE METALLIC EXTERIOR***BLACK DAKOTA LEATHER INTERIOR***PREMIUM PACKAGE***COLD WEATHER PACKAGE***DRIVING ASSISTANCE PACKAGE***PANORAMIC MOONROOF***REAR VIEW CAMERA***PARK DISTANCE CONTROL***HEATED FRONT & REAR SEATS***COMFORT ACCESS KEYLESS ENTRY***HI-FI SOUND SYSTEM***HANDS-FREE BLUETOOTH &USB***POWER FRONT SEATS***AMBIENT LIGHTING***RAIN SENSOR & AUTO HEADLIGHTS***AUTOMATIC CLIMATE CONTROL***SIRIUSXM CAPABILITY***DARK BURL WALNUT WOOD TRIM***AUTO-DIMMING MIRRORS***AND SO MUCH MORE***PRICED AGGRESSIVELY FOR A QUICK SALE***Located in the heart of Fort Lauderdale, Lauderdale INFINITI is every car buyer's first choice when it comes to high quality luxury vehicles. Lauderdale INFINITI is a proud member of the Holman Family of dealerships. Since 1924, we have made every effort to provide an exceptional experience to every one of our customers and we continue that tradition with the INFINITI Total Ownership Experience. ***2015 AUDI A4 2.0T PREMIUM FRONTTRAK***LOCAL LEASE RETURN***1 OWNER***NO ACCIDENTS REPORTED TO CARFAX***BALANCE OF AUDI FACTORY WARRANTY UNTIL 8/2019 OR 50K MILES, WHICHEVER COMES FIRST (ACCORDING TO CARFAX)***BRILLIANT BLACK EXTERIOR***GRAY LEATHER INTERIOR***SUNROOF***BLUETOOTH***VOICE RECOGNITION***AUDI CONCERT RADIO***DUAL-ZONE AUTOMATIC CLIMATE CONTROL***FULL POWER OPTIONS***17 ALLOY WHEELS***IN-DASH COLOR DISPLAY***MULTI-FUNCTION STEERING WHEEL***CRUISE CONTROL***TRACTION CONTROL***TIRE PRESSURE MONITORING SYSTEM***REMOTE ENTRY***SIRIUSXM CAPABILITY***TURN-SIGNAL MIRRORS***DUAL EXHAUST***AND SO MUCH MORE***PRICED AGGRESSIVELY FOR A QUICK SALE***Located in the heart of Fort Lauderdale, Lauderdale INFINITI is every car buyer's first choice when it comes to high quality luxury vehicles.Lauderdale INFINITI is a proud member of the Holman Family of dealerships. Since 1924, we have made every effort to provide an exceptional experience to every one of our customers and we continue that tradition with the INFINITI Total Ownership Experience. ***2015 BMW 528i***FLORIDA VEHICLE***1 OWNER***CLEAN CARFAX***ORIGINAL MSRP $51,250!!! ***REGULARLY SERVICED AT BMW DEALERSHIP***IMPERIAL BLUE METALLIC EXTERIOR***VENETIAN BEIGE LEATHERETTE INTERIOR***8-SPEED AUTOMATIC TRANSMISSION***MOONROOF***NAVIGATION***PARK DISTANCE CONTROL***LED FOG LIGHTS***AMBIENT LIGHTING**SPORT LEATHER STEERING WHEEL***SPLIT FOLD-DOWN REAR SEAT***DARK WOOD TRIM***SIRIUSXM CAPABILITY***LUMBAR SUPPORT***AUTO-DIMMING MIRRORS***DAYTIME DRIVING LIGHTS***TIRE PRESSURE MONITORING SYSTEM***AND SO MUCH MORE***PRICED AGGRESSIVELY FOR A QUICK SALE***Located in the heart of Fort Lauderdale, Lauderdale INFINITI is every car buyer's first choice when it comes to high quality luxury vehicles. Lauderdale INFINITI is a proud member of the Holman Family of dealerships. Since 1924, we have made every effort to provide an exceptional experience to every one of our customers and we continue that tradition with the INFINITI Total Ownership Experience. ***2011 LEXUS HS 250h***ONLY 29,124 MILES!!! ***FLORIDA VEHICLE***1 OWNER***NO ACCIDENTS REPORTED TO CARFAX***BALANCE OF LEXUS HYBRID WARRANTY UNTIL 7/2019 OR 100K MILES, WHICHEVER COMES FIRST (ACCORDING TO CARFAX)***STARFIRE PEARL EXTERIOR***PARCHMENT LEATHER INTERIOR***SUNROOF***NAVIGATION***REAR VIEW CAMERA***PARKING SENSORS***HEATED & COOLED FRONT SEATS***BLUETOOTH***VOICE RECOGNITION***MULTIPLE DRIVE MODES***MEMORY DRIVERS SEAT***FULL POWER OPTIONS***18 ALLOY WHEELS***IN-DASH COLOR DISPLAY***PREMIUM AUDIO***MULTI-FUNCTION STEERING WHEEL***CRUISE CONTROL***TRACTION CONTROL***PUSH BUTTON IGNITION***REMOTE ENTRY***DUAL-ZONE AUTOMATIC CLIMATE CONTROL***WOOD INTERIOR TRIM***REAR SPOILER***FOG LIGHTS***AND SO MUCH MORE***PRICED AGGRESSIVELY FOR A QUICK SALE***Located in the heart of Fort Lauderdale, Lauderdale INFINITI is every car buyer's first choice when it comes to high quality luxury vehicles. Lauderdale INFINITI is a proud member of the Holman Family of dealerships. Since 1924, we have made every effort to provide an exceptional experience to every one of our customers and we continue that tradition with the INFINITI Total Ownership Experience. ***2013 AUDI A5 2.0T PREMIUM PLUS QUATTRO CONVERTIBLE***FLORIDA VEHICLE***NO ACCIDENTS REPORTED TO CARFAX***REGULARLY SERVICED AT AUDI DEALERSHIP***BRILLIANT BLACK EXTERIOR***BLACK LEATHER INTERIOR***HEATED FRONT SEATS***BLUETOOTH***VOICE RECOGNITION***AUDI CONCERT RADIO***AUDI SOUND SYSTEM***IN-DASH COLOR DISPLAY***18 ALLOY WHEELS***MEMORY DRIVERS SEAT***DUAL-ZONE AUTOMATIC CLIMATE CONTROL***MULTI-FUNCTION STEERING WHEEL***CRUISE CONTROL***TRACTION CONTROL***FULL POWER OPTIONS***COMPASS***PUSH BUTTON IGNITION***REMOTE ENTRY***TURN-SIGNAL MIRRORS***DUAL EXHAUST***FOG LIGHTS***AND SO MUCH MORE***PRICED AGGRESSIVELY FOR A QUICK SALE***Located in the heart of Fort Lauderdale, Lauderdale INFINITI is every car buyer's first choice when it comes to high quality luxury vehicles. Lauderdale INFINITI is a proud member of the Holman Family of dealerships. Since 1924, we have made every effort to provide an exceptional experience to every one of our customers and we continue that tradition with the INFINITI Total Ownership Experience. ***2012 JEEP GRAND CHEROKEE LAREDO E 4X2***FLORIDA VEHICLE***CLEAN CARFAX***ORIGINAL MSRP $30,120!!! ***REGULARLY SERVICED AT JEEP DEALERSHIP***BRIGHT SILVER METALLIC EXTERIOR***BLACK CLOTH INTERIOR***CUSTOMER PREFERRED PACKAGE 26E***LAREDO E GROUP***DUAL-ZONE AUTOMATIC CLIMATE CONTROL***17 ALUMINUM PAINTED WHEELS***KEYLESS ENTER-N-GO***ELECTRONIC STABILITY CONTROL***HILL START ASSIST***TRAILER SWAY DAMPING***SPEED CONTROL***REMOTE KEYLESS ENTRY***BRIGHT SIDE ROOF RAILS***FOG LAMPS***TIRE PRESSURE MONITORING SYSTEM***SIRIUSXM CAPABILITY***AND SO MUCH MORE***PRICED AGGRESSIVELY FOR A QUICK SALE***Located in the heart of Fort Lauderdale, Lauderdale INFINITI is every car buyer's first choice when it comes to high quality luxury vehicles. Lauderdale INFINITI is a proud member of the Holman Family of dealerships. Since 1924, we have made every effort to provide an exceptional experience to every one of our customers and we continue that tradition with the INFINITI Total Ownership Experience. ***2012 Acura ZDX TECH***FLORIDA VEHICLE***CLEAN CARFAX***REGULARLY SERVICED AT Acura DEALERSHIP***CRYSTAL BLACK PEARL EXTERIOR***EBONY LEATHER INTERIOR***PANORAMIC MOONROOF***NAVIGATION***REAR VIEW CAMERA***HEATED FRONT SEATS***ELS SURROUND SOUND***BLUETOOTH***VOICE RECOGNITION***PADDLE SHIFTERS***MEMORY DRIVERS SEAT***FULL POWER OPTIONS***POWER TAILGATE***19 ALLOY WHEELS***DUAL-ZONE AUTOMATIC CLIMATE CONTROL***SIRIUSXM CAPABILITY***IN-DASH COLOR DISPLAY***MULTI-FUNCTION STEERING WHEEL***CRUISE CONTROL***TRACTION CONTROL***PUSH BUTTON IGNITION***REMOTE ENTRY***RUNNING BOARDS***REAR SPOILER***DUAL EXHAUST***FOG LIGHTS***TURN-SIGNAL MIRRORS***Located in the heart of Fort Lauderdale, Lauderdale INFINITI is every car buyer's first choice when it comes to high quality luxury vehicles. Lauderdale INFINITI is a proud member of the Holman Family of dealerships. Since 1924, we have made every effort to provide an exceptional experience to every one of our customers and we continue that tradition with the INFINITI Total Ownership Experience. ***2014 TOYOTA SIENNA L***FLORIDA VEHICLE***1 OWNER***NO ACCIDENTS REPORTED TO CARFAX***REGULARLY SERVICED AT TOYOTA DEALERSHIP***SILVER SKY METALLIC EXTERIOR***LIGHT GRAY LEATHER INTERIOR***SUNROOF***REAR VIEW CAMERA***HEATED FRONT SEATS***FULL POWER OPTIONS***TRI-ZONE AUTOMATIC CLIMATE CONTROL***17 ALLOY WHEELS***BLUETOOTH***VOICE RECOGNITION***POWER-SLIDING SIDE DOORS***WOOD INTERIOR TRIM***MULTI-FUNCTION STEERING WHEEL***CRUISE CONTROL***TRACTION CONTROL***COMPASS***ROOF RAILS***HEATED SIDE MIRRORS***FOG LIGHTS***MANUAL SIDE SUNSHADES***REMOTE ENTRY***AND SO MUCH MORE***PRICED AGGRESSIVELY FOR A QUICK SALE***Located in the heart of Fort Lauderdale, Lauderdale INFINITI is every car buyer's first choice when it comes to high quality luxury vehicles. Lauderdale INFINITI is a proud member of the Holman Family of dealerships. Since 1924, we have made every effort to provide an exceptional experience to every one of our customers and we continue that tradition with the INFINITI Total Ownership Experience. ***2015 BMW 328i***FLORIDA VEHICLE***1 OWNER***NO ACCIDENTS REPORTED TO CARFAX***ORIGINAL MSRP $43,465!!! ***REGULARLY SERVICED AT BMW DEALERSHIP***BALANCE OF BMW FACTORY WARRANTY UNTIL 9/2019 OR 50K MILES, WHICHEVER COMES FIRST***GLACIER SILVER METALLIC EXTERIOR***BLACK DAKOTA LEATHER INTERIOR***DRIVING ASSISTANCE PACKAGE***LIGHTING PACKAGE***MOONROOF***REAR VIEW CAMERA***PARK DISTANCE CONTROL***HANDS-FREE BLUETOOTH & USB***STEPTRONIC AUTOMATIC TRANSMISSION***18 ALLOY WHEELS***POWER FRONT SEATS***ADAPTIVE LIGHT CONTROL***HI-FI SOUND SYSTEM***AUTOMATIC CLIMATE CONTROL***AMBIENT LIGHTING***RAIN SENSOR & AUTO HEADLIGHTS***SPLIT FOLD-DOWN REAR SEAT***ANTHRACITE WOOD TRIM***SIRIUSXM CAPABILITY***SPORT LEATHER STEERING WHEEL***XENON HEADLIGHTS***AND SO MUCH MORE***PRICED AGGRESSIVELY FOR A QUICK SALE***Located in the heart of Fort Lauderdale, Lauderdale INFINITI is every car buyer's first choice when it comes to high quality luxury vehicles. Lauderdale INFINITI is a proud member of the Holman Family of dealerships. Since 1924, we have made every effort to provide an exceptional experience to every one of our customers and we continue that tradition with the INFINITI Total Ownership Experience. ***2013 BMW 328i***FLORIDA VEHICLE***CLEAN CARFAX***ORIGINAL MSRP $40,800!!! ***REGULARLY SERVICED AT BMW DEALERSHIP***MINERAL GRAY METALLIC EXTERIOR***BLACK DAKOTA LEATHER INTERIOR***PREMIUM PACKAGE***MOONROOF***STEPTRONIC AUTOMATIC TRANSMISSION***COMFORT ACCESS KEYLESS ENTRY***HI-FI SOUND SYSTEM***BMW ASSIST W/ENHANCED BLUETOOTH & USB***AUTOMATIC CLIMATE CONTROL***POWER FRONT SEATS***17 ALLOY WHEELS***AMBIENT LIGHTING***RAIN SENSOR & AUTO HEADLIGHTS***SPLIT FOLD-DOWN REAR SEAT***LUMBAR SUPPORT***SIRIUSXM CAPABILITY***AUTO-DIMMING MIRRORS***TIRE PRESSURE MONITORING SYSTEM***DAYTIME DRIVING LIGHTS***AND SO MUCH MORE***PRICED AGGRESSIVELY FOR A QUICK SALE***Located in the heart of Fort Lauderdale, Lauderdale INFINITI is every car buyer's first choice when it comes to high quality luxury vehicles. Lauderdale INFINITI is a proud member of the Holman Family of dealerships. Since 1924, we have made every effort to provide an exceptional experience to every one of our customers and we continue that tradition with the INFINITI Total Ownership Experience. ***2018 DODGE RAM 1500 PROMASTER CARGO VAN***FLORIDA VEHICLE***1 OWNER***BALANCE OF DODGE FACTORY WARRANTY UNTIL 8/2020 OR 36K MILES, WHICHEVER COMES FIRST AND DRIVETRAIN WARRANTY UNTIL 8/2022 OR 60K MILES, WHICHEVER COMES FIRST (ACCORDING TO CARFAX)***BRIGHT WHITE CLEARCOAT EXTERIOR***BLACK VINYL INTERIOR***CUSTOMER PREFERRED PACKAGE 21A***REAR VIEW CAMERA***16 STEEL WHEELS***INTEGRATED VOICE COMMAND W/BLUETOOTH***FULL POWER OPTIONS***MEDIUM-DUTY SUSPENSION***MEDIA HUB***5 DISPLAY SCREEN***ENGINE COIL COOLER***AUXILLARY TRANSMISSION OIL COOLER***REMOTE KEYLESS ENTRY***ELECTRONIC STABILITY CONTROL***BRAKE ASSIST***HILL START ASSIST***ALL SPEED TRACTION CONTROL***ELECTRONIC ROLL MITIGATION***TRAILER SWAY DAMPING***HALOGEN HEADLAMPS***REAR HINGED DOORS W/DEEP TINTED GLASS***AND SO MUCH MORE***PRICED AGGRESSIVELY FOR A QUICK SALE***Located in the heart of Fort Lauderdale, Lauderdale INFINITI is every car buyer's first choice when it comes to high quality luxury vehicles. Lauderdale INFINITI is a proud member of the Holman Family of dealerships. Since 1924, we have made every effort to provide an exceptional experience to every one of our customers and we continue that tradition with the INFINITI Total Ownership Experience. ***2016 BMW 328i***LOCAL LEASE RETURN***1 OWNER***CLEAN CARFAX***ORIGINAL MSRP $38,900!!! ***REGULARLY SERVICED AT BMW DEALERSHIP***BALANCE OF BMW FACTORY WARRANTY UNTIL 8/2020 OR 50K MILES, WHICHEVER COMES FIRST***BLACK SAPPHIRE METALLIC EXTERIOR***BLACK W/RED HIGHLIGHT LEATHERETTE INTERIOR***SPORT PACKAGE***SPORT AUTOMATIC TRANSMISSION***HANDS-FREE BLUETOOTH & USB***17 WHEELS***SPORT-POWER FRONT SEATS***ALARM SYSTEM***HI-FI SOUND SYSTEM***AUTOMATIC CLIMATE CONTROL***RAIN SENSOR & AUTO HEADLIGHTS***AMBIENT LIGHTING***ANTHRACITE HEADLINER***LED FOG LIGHTS***DAYTIME DRIVING LIGHTS***SPLIT FOLD-DOWN REAR SEAT***FINELINE ANTHRACITE WOOD TRIM***SPORT LEATHER STEERING WHEEL***AND SO MUCH MORE***PRICED AGGRESSIVELY FOR A QUICK SALE***Located in the heart of Fort Lauderdale, Lauderdale INFINITI is every car buyer's first choice when it comes to high quality luxury vehicles. Lauderdale INFINITI is a proud member of the Holman Family of dealerships. Since 1924, we have made every effort to provide an exceptional experience to every one of our customers and we continue that tradition with the INFINITI Total Ownership Experience. ***2011 Honda CIVIC LX***FLORIDA VEHICLE***REGULARLY SERVICED***ALABASTER SILVER METALLIC EXTERIOR***GRAY CLOTH INTERIOR***POWER WINDOWS***POWER LOCKS***POWER MIRRORS***AIR CONDITIONING***AM/FM/CD/AUX***REMOTE ENTRY***CRUISE CONTROL***16 WHEEL COVERS***THIS ONE WON'T LAST LONG***PRICED AGGRESSIVELY FOR A QUICK SALE***Located in the heart of Fort Lauderdale, Lauderdale INFINITI is every car buyer's first choice when it comes to high quality luxury vehicles. Lauderdale INFINITI is a proud member of the Holman Family of dealerships. Since 1924, we have made every effort to provide an exceptional experience to every one of our customers and we continue that tradition with the INFINITI Total Ownership Experience. ***2009 BMW 328i xDRIVE***ONLY 82,424 MILES!!! ***CLEAN CARFAX***ORIGINAL MSRP $41,325!!! ***REGULARLY SERVICED AT BMW DEALERSHIP***TITANIUM SILVER METALLIC EXTERIOR***BLACK DAKOTA LEATHER INTERIOR***PREMIUM PACKAGE***ALL-WHEEL-DRIVE***MOONROOF***HEATED FRONT SEATS***AUTOMATIC CLIMATE CONTROL***STEPTRONIC AUTOMATIC TRANSMISSION***BMW ASSIST W/BLUETOOTH***RAIN SENSOR & AUTO HEADLIGHTS***DARK BURL WALNUT WOOD TRIM***LEATHER MULTI-FUNCTION STEERING WHEEL***HI-FI SOUND SYSTEM***DYNAMIC CRUISE CONTROL***AMBIENT LIGHTING***SIRIUSXM CAPABILITY***TIRE PRESSURE MONITORING SYSTEM***AND SO MUCH MORE***PRICED AGGRESSIVELY FOR A QUICK SALE***Located in the heart of Fort Lauderdale, Lauderdale INFINITI is every car buyer's first choice when it comes to high quality luxury vehicles. Lauderdale INFINITI is a proud member of the Holman Family of dealerships. Since 1924, we have made every effort to provide an exceptional experience to every one of our customers and we continue that tradition with the INFINITI Total Ownership Experience. ***2016 BMW 328i***FLORIDA VEHICLE***CLEAN CARFAX***ORIGINAL MSRP $42,300!!! ***MINERAL GRAY METALLIC EXTERIOR***VENETIAN BEIGE LEATHERETTE INTERIOR***SPORT PACKAGE***PREMIUM PACKAGE***DRIVING ASSISTANCE PACKAGE***MOONROOF***REAR VIEW CAMERA***PARK DISTANCE CONTROL***COMFORT ACCESS KEYLESS ENTRY***SPORT AUTOMATIC TRANSMISSION***HANDS-FREE BLUETOOTH & USB***17 WHEELS***AUTOMATIC CLIMATE CONTROL***HI-FI SOUND SYSTEM***POWER FRONT SEATS***LED HEADLIGHTS & FOG LIGHTS***ALARM SYSTEM***AMBIENT LIGHTING***ANTHRACITE HEADLINER***SIRIUSXM CAPABILITY***FINELINE ANTHRACITE WOOD TRIM***SPORT LEATHER STEERING WHEEL***AND SO MUCH MORE***PRICED AGGRESSIVELY FOR A QUICK SALE***Located in the heart of Fort Lauderdale, Lauderdale INFINITI is every car buyer's first choice when it comes to high quality luxury vehicles. Lauderdale INFINITI is a proud member of the Holman Family of dealerships. Since 1924, we have made every effort to provide an exceptional experience to every one of our customers and we continue that tradition with the INFINITI Total Ownership Experience. ***2015 BMW 328i***FLORIDA VEHICLE***1 OWNER***ORIGINAL MSRP $37,500!!! ***REGULARLY SERVICED AT BMW DEALERSHIP***ALPINE WHITE EXTERIOR***BLACK LEATHERETTE INTERIOR***STEPTRONIC AUTOMATIC TRANSMISSION***HANDS-FREE BLUETOOTH & USB***HI-FI SOUND SYSTEM***17 ALLOY WHEELS***POWER FRONT SEATS***AUTOMATIC CLIMATE CONTROL***AMBIENT LIGHTING***SPORT LEATHER STEERING WHEEL***RAIN SENSOR & AUTO HEADLIGHTS***DARK BURL WALNUT WOOD TRIM***SPLIT FOLD-DOWN REAR SEAT***AUTO-DIMMING MIRRORS***SIRIUSXM CAPABILITY***TIRE PRESSURE MONITORING SYSTEM***DAYTIME DRIVING LIGHTS***AND SO MUCH MORE***PRICED AGGRESSIVELY FOR A QUICK SALE***Located in the heart of Fort Lauderdale, Lauderdale INFINITI is every car buyer's first choice when it comes to high quality luxury vehicles. Lauderdale INFINITI is a proud member of the Holman Family of dealerships. Since 1924, we have made every effort to provide an exceptional experience to every one of our customers and we continue that tradition with the INFINITI Total Ownership Experience. Manufacturer’s Suggested Retail Price. Excludes options; taxes; title; registration; delivery, processing and handling fee; dealer charges. Dealer sets actual selling price. While great effort is made to ensure the accuracy of the information on this site, errors do occur so please verify information with a customer service rep. This is easily done by calling us at (855) 878-8045 or by visiting us at the dealership.